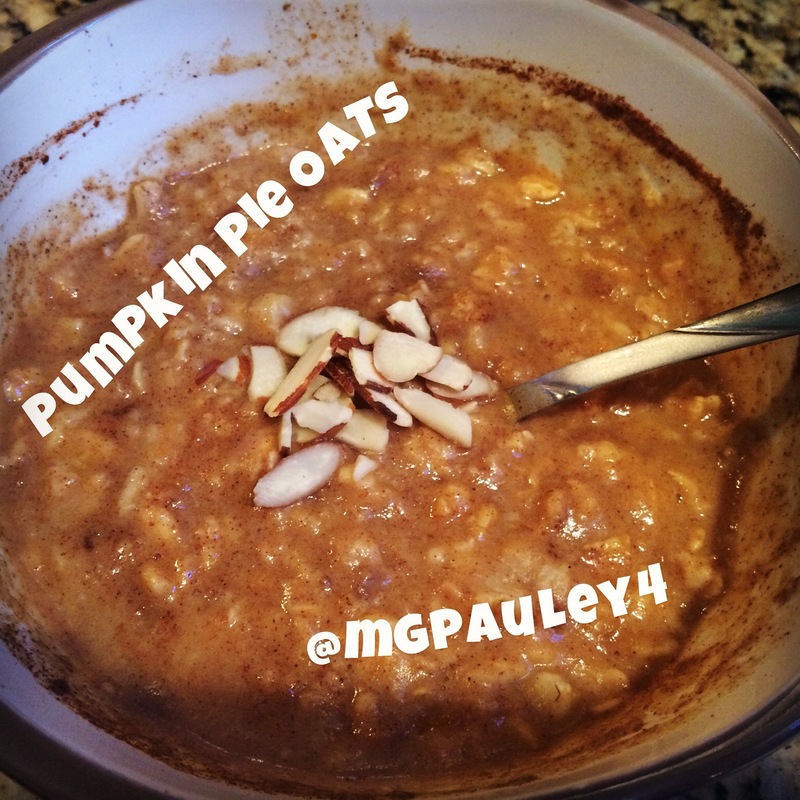 HOMENutrition Recipes UncategorizedPumpkin Pie Oatmeal!!! 2 egg whites ( can omit if want to)- makes oatmeal more thick and creamy! Pour 1 cup water over oats and cook 1 min. If using the egg whites, pour in after 1 minute along with pumpkin purée,stir and cook another 1 minute. Then, add in your spices and extract and cook for 1 more minute. Last, stir in a dash of unsweetened almond milk and sprinkle on some almonds and DEVOUR!!! So so good!! Leave me a comment and let me know what you think or if there is anythjng else you would like to see!! No Comments to "Pumpkin Pie Oatmeal!!!"